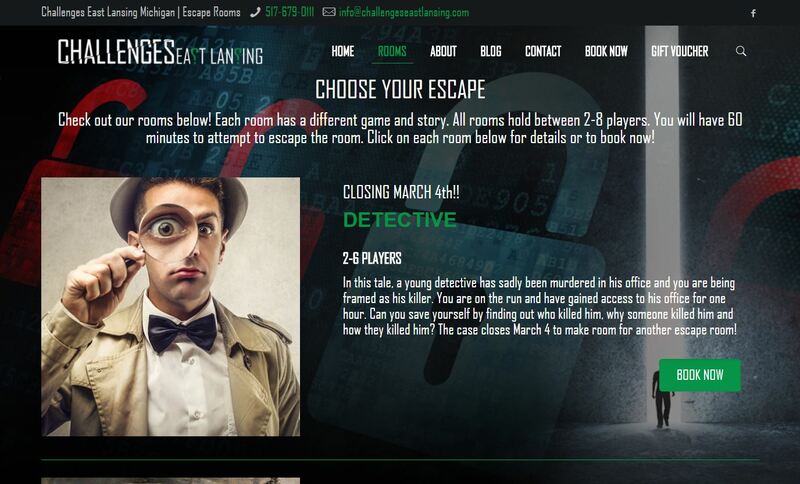 Challenges East Lansing is a new franchise owner for the breakout escape rooms. 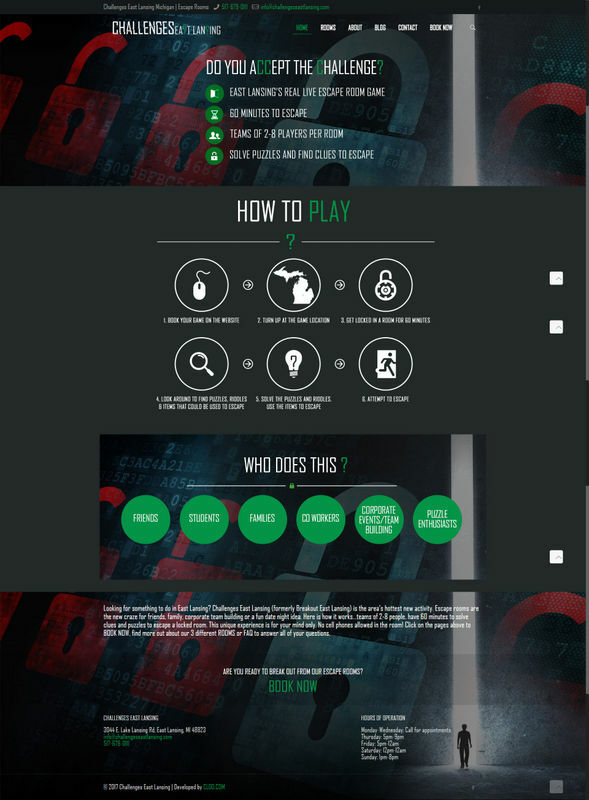 The new owners needed a website when the franchise website developer was no longer in business. The new website is the only front end of their business to accept bookings and receive online payments.